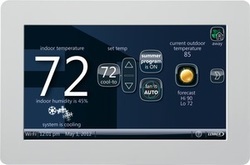 Aprilaire humidifiers add much needed moisture to your home in the winter. 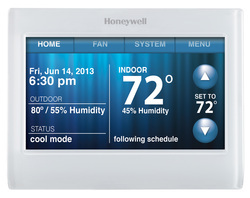 They feature digital controls and outdoor air temperature sensors to maintain just the right amount of humidity. 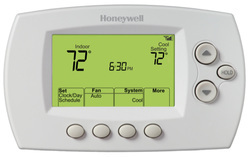 Honeywell’s basic digital programmable thermostat that also includes wi-fi connectivity to allow access from your smartphone/tablet and the web. 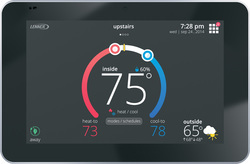 A vivid full color, touchscreen programmable thermostat with wi-fi connectivity. 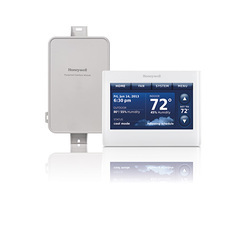 The ultimate in connectivity options.